There are no records of missionary activity or visits by Latter-day Saints in this 100-plus island group prior to World War II. 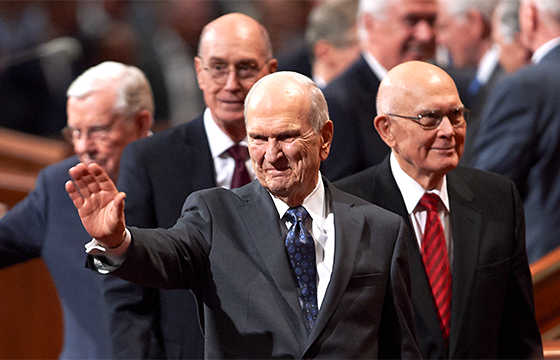 The first known Latter-day Saints on Palau came as members of the armed forces during the war. There were no other Latter-day Saints on Palau until Heber Butler, a counselor in the Hawaii Honolulu Mission presidency, visited Palau in October 1977 to investigate the potential for missionary work. Full-time missionary work began when Ron Brown and Stanton Akana arrived in July 1978. Their missionary activities were initially restricted by the Palauan government to the islands of Koror, Arakabesan, Malakal, and Airai. The first to be baptized in Palau were Thaem and Marina Oei and eight of their nine children in September 1978. In December 1978, the Sakuma family was baptized, the first native Palauans to join. The Palau Branch (a small congregation), later renamed the Meyungs Branch, became part of the Micronesia Guam Mission in April 1980. Another early convert was Vincent Roberto, who was baptized in December 1980 and later served as the first native branch president. By the end of 1981, there were 59 members in Palau. The Airai Branch was created in September 1987 with Bing de Leon as president. The Meyungs Branch was divided and the Koror Topside Branch was created in December 1998 with Walter Mauiur as president. The Koror Central Branch was created in March 1989 bringing the total to four branches with 208 members. A chapel was dedicated in Meyungs in May 1990. The chapel was later torn down after the branch was dissolved to give greater strength to the Koror Topside Branch. There is a fluctuating population on Palau, in and around Meyungs, comprised mostly of workers from mainland China. Missionary efforts among them began with Kenneth and Margaret Styles, a missionary couple who served in Palau from 1990 to 1991. Donglong Liu and his wife Mei Li were baptized by Kenneth Styles in August 1990. Liu was the first president of the Chinese Branch. It was later discontinued when many of its members returned to China.